Werner “Stumpfen” Stumpf was born on 15 March 1917 at Berlin. 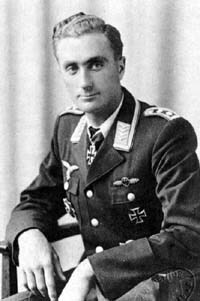 In 1935, Stumpf was serving in the army but transferred to the Luftwaffe and underwent fighter pilot training. In mid-1940, Stumpf was posted to JG 53. Feldwebel Stumpf was assigned to 7./JG 53. He participated in the French campaign without claiming any victories. Stumpf recorded his first victory on 1 September 1940, when he shot down a RAF Hurricane fighter during the Battle of Britain. He claimed a further victory during the aerial battles of England on 2 September, when he shot down a RAF Spitfire fighter. However, it was while operating over the Eastern front that Stumpf was to be particularly successful. By 9 September 1941, he had increased his victory total to 23, including four victories on 22 June, the opening day of Operation Barbarossa, the invasion of Russia, to record his third through sixth victories. During June 1941, Stumpf was transferred to 9./JG 53. He recorded his 20th victory, a Russian DB-3 twin-engine bomber, shot down on 29 August.  In November 1941, III./JG 53 was ordered to the Mediterranean theatre to help relieve the increasing pressure on the Afrika Korps. The Gruppe arrived at El Tmimi in North Africa on 8 December. Stumpf claimed three victories before III./JG 53 was withdrawn to bases in Sicily on 16 December. From Sicily, Stumpf operated over Malta recording six victories over and around the island, including his 30th victory on 9 March 1942. In May, he relocated to North Africa to be based at Martuba where III./JG 53 was to, once again, operate in support of the Afrika Korps as they attempted to wrest control of Tobruk and destroy the British 8th Army. Oberfeldwebel Stumpf was awarded the Ritterkreuz on 13 August 1942 for 40 victories. On 13 October 1942, 15 aircraft of III./JG 53, together with 19 Bf 109s of II and III./JG 27, escorted Ju 87 Stuka dive bombers into the area south of El Alamein. RAF fighters intercepted the formation. In the ensuing engagement, Stumpf claimed three RAF P-40 fighters shot down (46-48). The engagement, which took place behind enemy lines, had descended to ground level. There, Stumpf’s Bf 109 F-4trop (W.Nr. 10 175) “Yellow 7+I” took a direct flak hit, caught fire and struck the ground at a shallow angle. Stumpf was killed instantly. “Stumpfen” Stumpf was credited with 48 victories in over 400 missions. He recorded 23 victories over the Eastern front.